The PE foam sheet has complete independent bubble. According to customer demand, we will produce all size of liners and gaskets. 2. 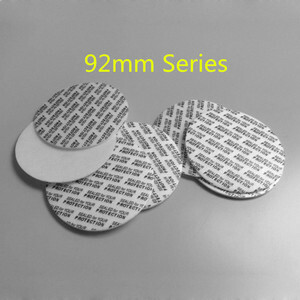 Own the polyethylene foam sheet which has an independent pore. 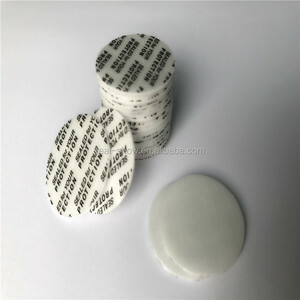 PS foam bottle cap Seal liner "sealed for your production"
PE foam seal liner This kind of seal liner always be used to seal cosmetics,shampoo,solid. 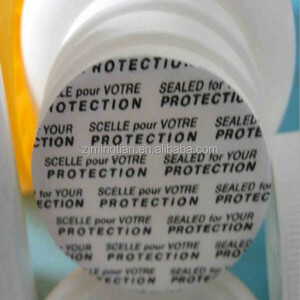 bottles Sealing lids This sealing lids are always be used to seal milk,jelly,instant noodles, coffee,chocolate. Q: How long is your delivery time9 A: Generally it is 3-5 days if the goods are in stock. -Q3. How about the samples charge9 Re: We could provide the free samples based on freight collect and refundable. -Q5. Can you print our logo on the product9 Re: Of course we can, but you need to supply your design images and pay the making fees. -Q6. Can you accept our customized size9 Re: Certainly, but if your size isn't normal size, we need Re-open the mould, and the fees you pay. 3 YRS Qingdao Aopu Packaging Materials Co., Ltd.
2 YRS Cangnan Pengyuan Aluminum Foil Packing Material Co., Ltd.
Packaging & Delivery: Cap seals in plastic bag, then in brown carton box Delivery Detail: Shipped in 7days after payment. 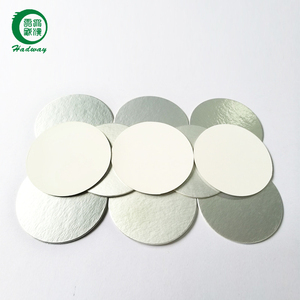 Food grade Aluminum Foil Induction Bottle Cap Seal Liner/gasket/lid Structure: PE/PET/PP sealing film+aluminium foil+Cardboard. 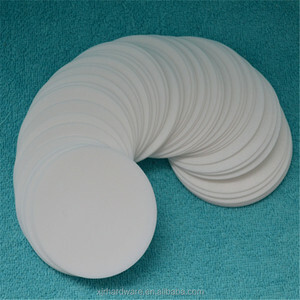 Diameter: Range from 10MM to 160MM , customised diameter available. 1 YRS Yantai Yongsheng Sealing Technology Co., Ltd.
9 YRS Guilin Seal Technology Co., Ltd.
3. Color: transperant,white,black or as your request 4. 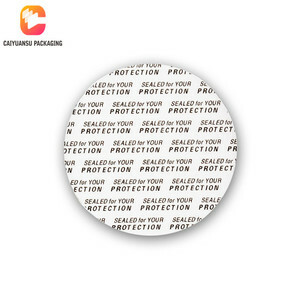 Packaging: caps is pacckaged in PVC bag and put them into very hard cartons,which is suitable for long distance transportation by sea or air. 5. Mould: we can open new mould for the plastic cap according to the actual sample or illustrations of the cap, also we can design the cap by our customers. ,ltd is specializing in cosmetic package, frangrance package and other package. 2 YRS Shanghai Vikin Electronics Co., Ltd.
2 YRS Wenzhou Yuanyuan Import & Export Co., Ltd.
3 YRS Leadtra Packaging (Zhongshan) Ltd.
5 YRS Suzhou Glass Point Packaging Co., Ltd.
Alibaba.com offers 3,936 bottle cap seal liner products. About 47% of these are lids, bottle caps, closures, 34% are aluminum foil, and 8% are wine stoppers. A wide variety of bottle cap seal liner options are available to you, such as composite material, pe, and plastic. You can also choose from easy open end, screw cap, and bottle stopper. As well as from bottles, cups, and jars. 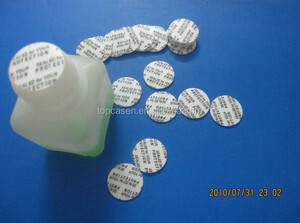 And whether bottle cap seal liner is non spill, pilfer-proof, or child-proof. 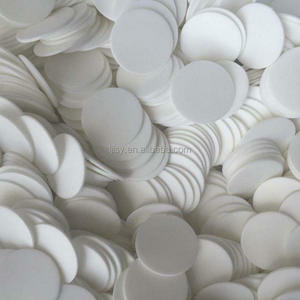 There are 3,936 bottle cap seal liner suppliers, mainly located in Asia. 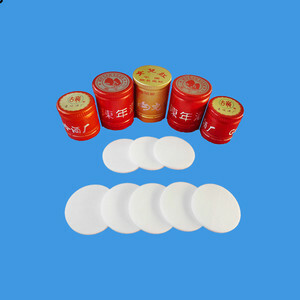 The top supplying country is China (Mainland), which supply 100% of bottle cap seal liner respectively. Bottle cap seal liner products are most popular in Domestic Market, North America, and Southeast Asia. You can ensure product safety by selecting from certified suppliers, including 487 with ISO9001, 195 with Other, and 77 with ISO13485 certification.